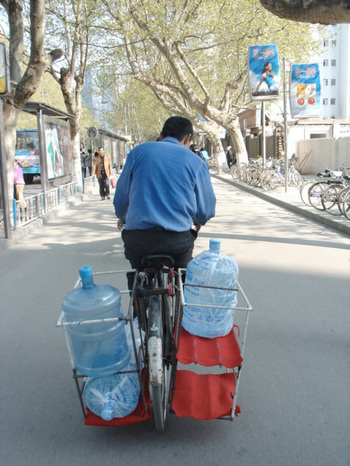 Water distribution by bike 2L PP PD = Two litres per person per day. No gettin' around that. Now get it out there. God's Own Fodder A selection of kimchis including radish and cabbage and wakame cucumber.